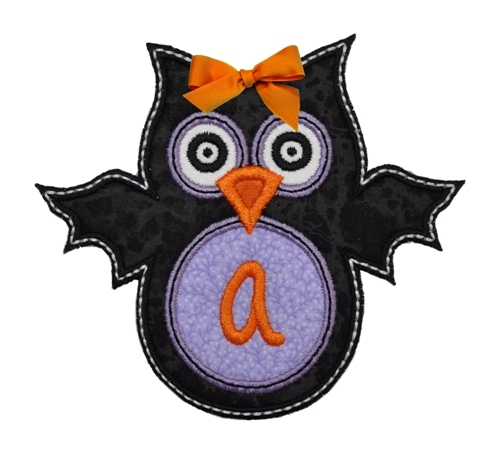 Isn't this a cute monogram for a Halloween outfit? 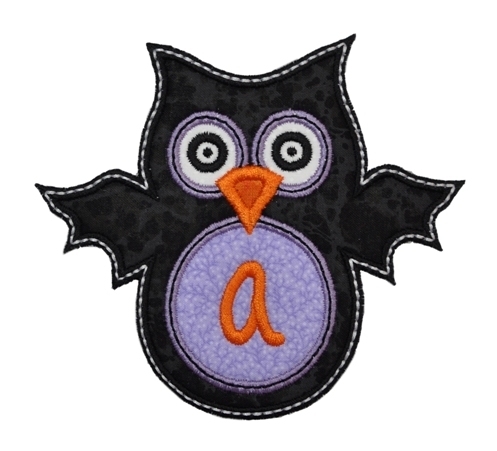 I just love owls, do you? 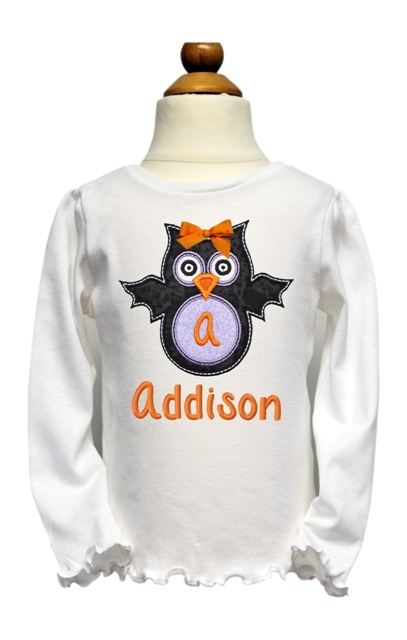 Do you like the font we used for Addison's name? It's our Sally Jane font. Link is in Related Products tab above. 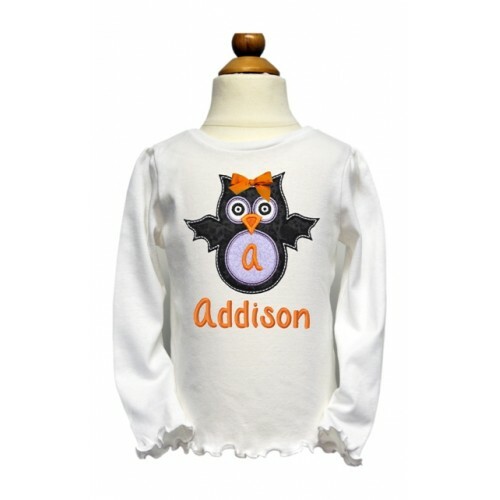 Super Cute without the bow, perfect for the little guys!